Movie stars have the Oscars, musicians have the Grammys and television has the Emmys. With the amount of quality content coming to our TVs, the latter is becoming wildly popular. An increasing number of A-listers are switching to primetime acting, many of who will book private charter flights to the Emmys to celebrate television's biggest awards ceremony. In recent years, shows such as Walking Dead, Game of Thrones, Stranger Things and Altered Carbon have been on everyone’s lips. When the 70th annual Emmys get underway at the Microsoft Theater this September in Downtown Los Angeles, people will be dying to know which actors and programs will take home the top honors. To be there in person to witness some of the most talented and glamorous celebrities in the industry being honored by their peers is sure to be an unforgettable experience. And by chartering charter flights to the Emmys, you’ll arrive in the same style as the stars up on stage. Overview: Established in 1948, The Emmy Awards have, over the years, honoured the likes of primetime TV shows such as Veep, Modern Family, The Sopranos, Murphy Brown, Cheers, Taxi and The Jack Benny Show. Much-anticipated Emmy hosts have included Jimmy Kimmel, David Letterman and Eddie Murphy. This year’s host is rumoured to be Jimmy Fallon. Are you looking to hit the red carpet at this year’s Emmy Awards in Downtown Los Angeles? 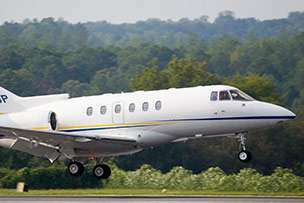 Stratos Jets arranges charter flights to the Emmys that’ll get you there in true Hollywood fashion. We can arrange for a luxury private jet to be crewed, fueled and ready to depart from almost any location in just four hour’s notice. Our agents are available 24/7—(888) 593-9066 (toll free) or request a quote online.